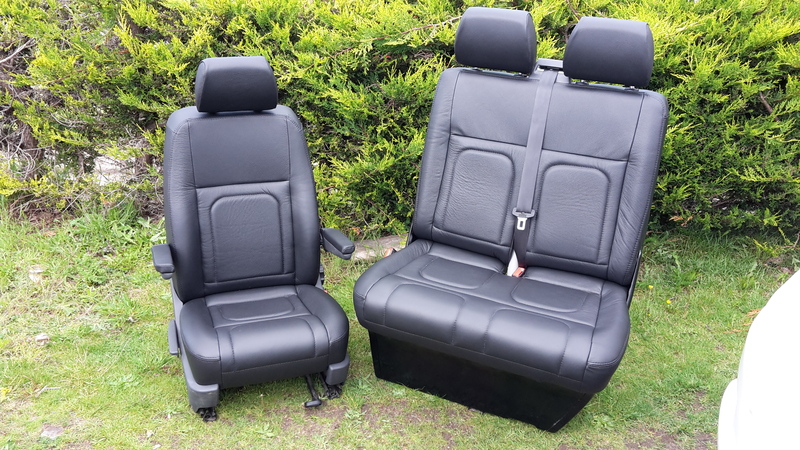 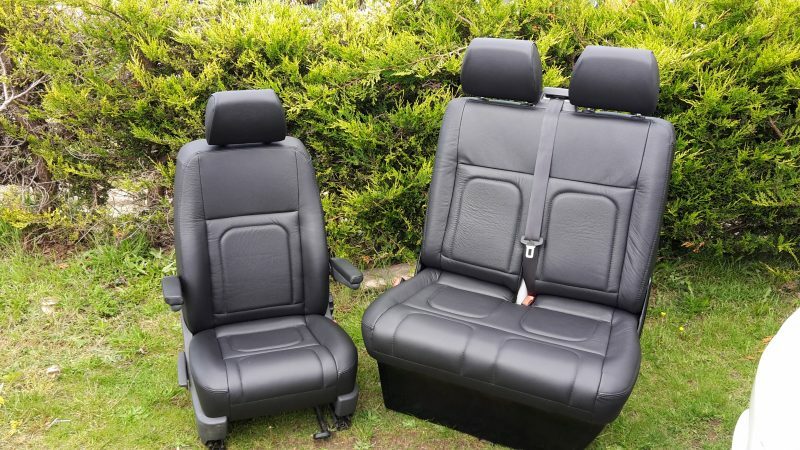 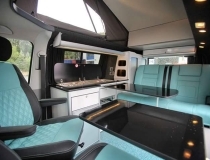 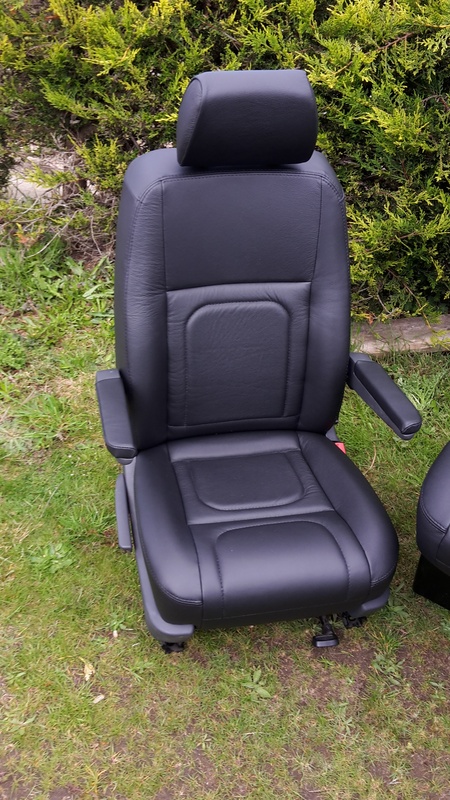 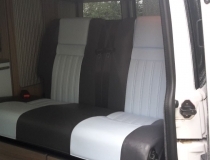 VW T5 front seats in black leather and black stitching. 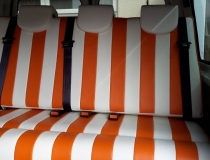 The centre panels of these seats have been done in a Rib seat covering style. 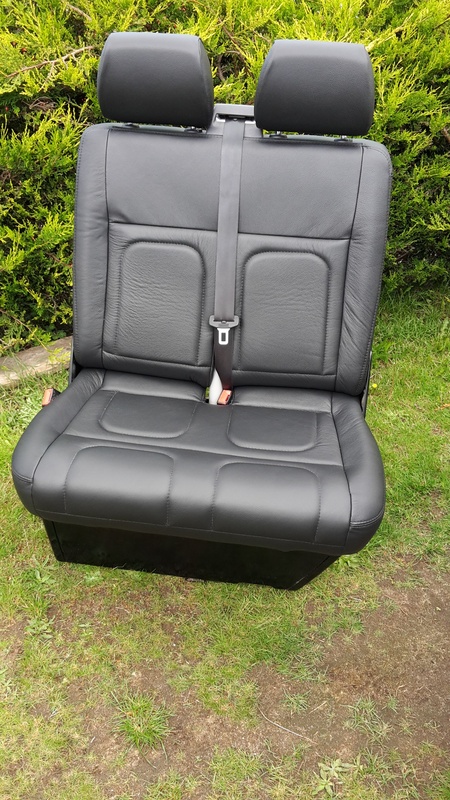 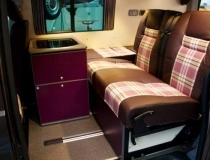 The front Captains seat and Bench seat have been covered in a high quality soft black leather.